In the last six weeks, I have driven over 4500 miles (7000km) through 14 of the 50 states in the USA, all in the name of pygmy hippopotamus conservation research. That’s a lot of time to listen to the radio! I have travelled through some very scenic and beautiful parts of the country, like the rolling green hills of Kentucky and Tennessee. I have also seen some less interesting parts, including the seemingly endless expanses of flatness and cornfields in many states throughout the Midwest. Most importantly, however, I have seen many pygmy hippos at the various stops along my route and have gathered vital data for my PhD research. I have also assembled several photographs of these incredible and undeniably cute creatures, and I have met the many dedicated, behind-the-scenes people who care for them – the zoo-keeping, animal husbandry and veterinary team members from each zoo. My first stop was White Oak Conservancy in Yulee, Florida, in the northeast corner of the sunshine state. White Oak is neither a zoo nor do they have pygmy hippos, but the Southeast Zoo Alliance for Reproduction and Conservation (SEZARC) is based there. SEZARC is a research laboratory facility that performs hormone assays and orchestrates several other reproduction-based conservation research projects. Here I learned the somewhat messy and tedious (and definitely smelly!) process of actually extracting hormones from dung samples and then running laboratory assays to measure and quantify those hormones. It is incredible what a simple dung sample can tell you about an animal’s health, physiology, and reproductive status, as long as you have the patience to perform the laboratory testing involved in elucidating the information! From Florida I started heading north, first traveling through Georgia and Tennessee to the Louisville Zoo in Kentucky, where I met Hope and Maji Kitoto. This breeding pair of pygmy hippos were both very friendly, and the dedicated animal care staff has worked with them over the years to train them for various procedures including injections and ultrasound examinations. While I was in Louisville, I helped their veterinarian perform an ultrasound on Hope to assess if she was pregnant. Although we were hopeful that a new baby was on its way, it seemed she was not pregnant. At the time Maji Kitoto had a wound above his right eye, and he would let the keepers clean the wound and apply medical ointment treatments twice daily. 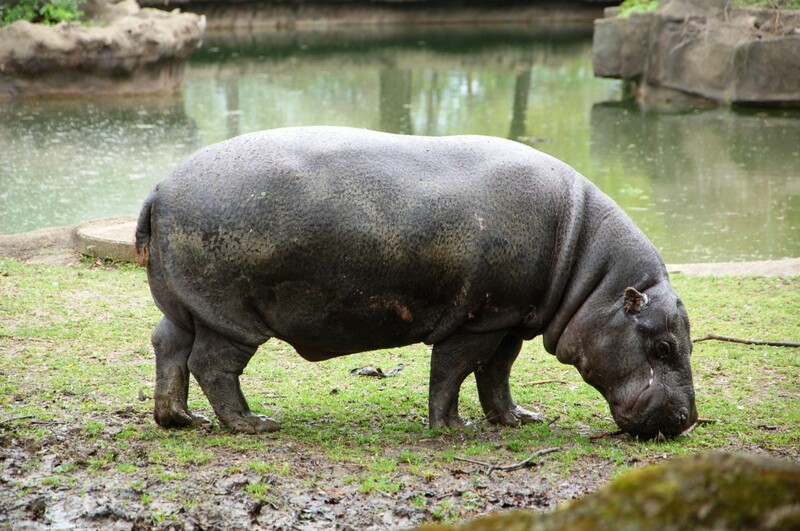 The hippos and staff at Louisville Zoo clearly illustrate the value of training and behavioural conditioning for improved animal management and welfare. Because these two hippos are used to various minimally-invasive medical procedures, it is much easier for the veterinarians and animal care staff to keep them healthy. Kentucky is also known for bluegrass music, bourbon, the mint julep, and the Kentucky Derby horse race, which takes place in Louisville at Churchill Downs the first Saturday in May each year. After a very productive week with the friendly and helpful staff at Louisville Zoo I headed north through Indiana to Chicago, Illinois, on the southern shores of Lake Michigan. 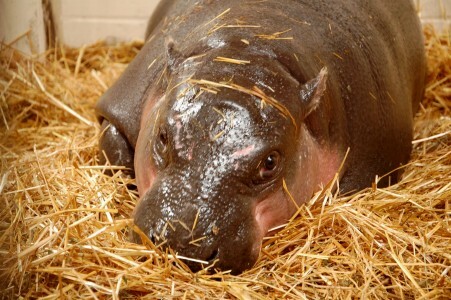 Chicago has two zoos, Lincoln Park and Brookfield (Chicago Zoological Society), and both of them have pygmy hippos. The Lincoln Park Zoo was founded in 1868, making it one of the oldest zoos in the country. 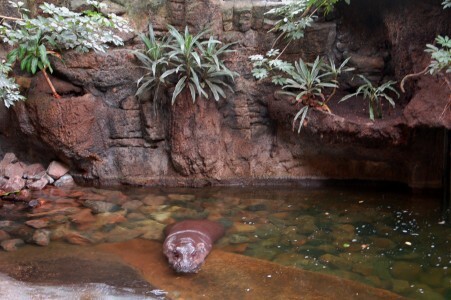 Lincoln Park exhibited their first pygmy hippo, Agnes, in 1982. Agnes is now living out her retirement at Rum Creek Ranch in Florida; I had the pleasure of meeting her back in March. 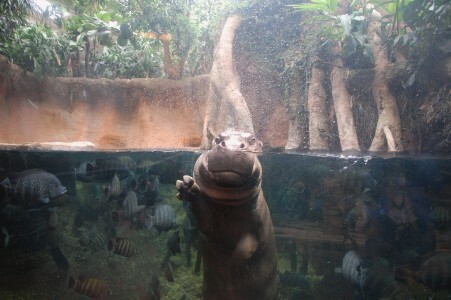 Lincoln Park Zoo’s current pygmy hippos are Howie and Annakiya, a breeding pair. The Brookfield Zoo has two female pygmy hippos, Adele and Obesa, who live in the original pachyderm house constructed when the zoo opened in 1932. They also have a large outdoor exhibit area with two large pools and mud wallows they can enjoy during the warmer months. From Chicago I drove through Iowa to Omaha, Nebraska, home of the Henry Doorly Zoo. The Pygmy Hippo Yellow Species Survival Plan (SSP) and North American Studbook Coordinator are based at the Henry Doorly Zoo as well. 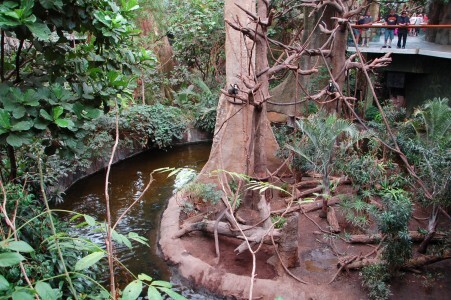 Omaha’s four pygmy hippos, Betty, Scooby, Chomel, and Ralph, live in the Lied Jungle building, which claims to be America’s largest indoor rainforest. The building is massive and quite impressive; when walking around inside you really do feel like you are lost in a rainforest with natural vegetation and free-flying birds all around. Betty lives on a large island surrounded by a pool and shares her habitat with two African De Brazza monkeys. Pygmy hippos are naturally solitary in the wild, so Betty is unlikely to be lonely, and she is retired from breeding at age 38. 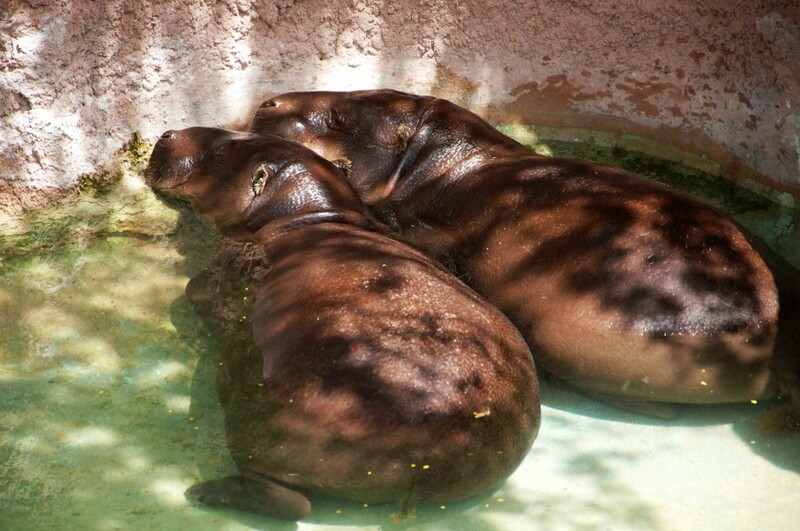 Scooby and Chomel, the breeding pair, live in a different exhibit within the jungle and share a pool. Their most recent calf, a young male named Ralph, had recently been weaned and is scheduled to move to the Jackson Zoo (Mississippi) as a mate for their female. I spent an entire week in Omaha, working with their very dedicated and passionate managers, hippo-keepers and veterinary staff; it was a very educational and enjoyable visit. From Nebraska I drove southward through Kansas to Oklahoma to visit the oldest pygmy hippo in North America. His name is Wolee, and he lives at the Oklahoma City Zoo. Since he was wild-caught his exact age in unknown, but he is at least 40 because he was imported from Liberia in 1974. 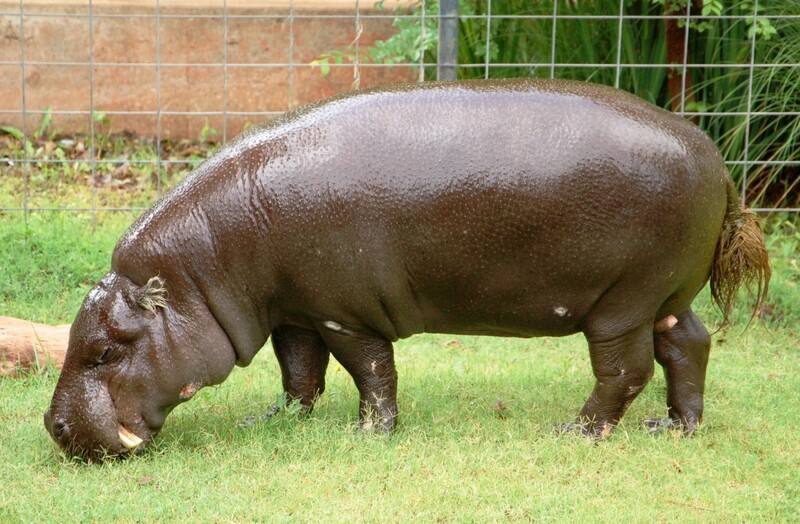 Wolee is also the only remaining wild-caught pygmy hippo still living in the USA. Wolee’s lives on his own and is retired from breeding. Wolee’s offspring include Howie (the male at Chicago’s Lincoln Park Zoo) and Clover, a female in Brownsville Texas. He has two large indoor pools and a nice outdoor area with a pool and lots of green grass. Oklahoma’s climate is warm most of the year, so he gets to spend a good portion of his time wallowing in the mud, eating the green grass, sleeping in the sun, or enjoying the rain (pygmy hippos are native to a rainforest, after all). From Oklahoma it was a long drive south through the great state of Texas, the second-largest state in the USA (Alaska is the largest). 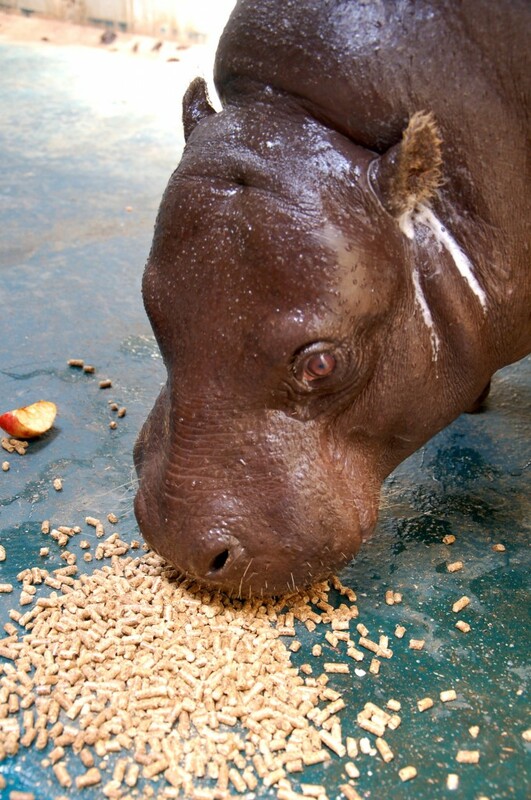 The only zoo in Texas that has pygmy hippos is located in Brownsville, at the very southern tip of the state, literally on the border with Mexico. Thus, I needed to travel 600 miles (960 km) from the Oklahoma/Texas border to reach Brownsville, more than 10 hours of driving time. I chose to break the trip in half and spent a few days in Austin, Texas, the capitol of the state. Austin was not only an interesting place to stop but is also home my oldest friend whom I have known since we were 8 years old, growing up together in Germany. Neither of us imagined that we would meet again in Texas more than 30 years later while I was doing PhD research! Brownsville’s Gladys Porter Zoo is home to Juanito and Clover, a breeding pair whose one-year old male calf, Hershey, was weaned shortly before my visit. Juanito and Clover live outdoors all year since Brownsville’s climate is subtropical, hot, and humid. They were also the leanest (in a good way) pygmy hippos I had encountered since visiting Rum Creek; unfortunately a lot of the world’s captive pygmy hippos are overweight, which can lead to a variety of health problems. Young Hershey is soon going to be transferred to the Montgomery Zoo in Alabama, where he will be joined by Asali, the young female pygmy hippo from Miami (cf previous update), to form a new breeding pair once Hershey is a bit older. By this point in my long journey I was starting to feel like I knew almost all of the North American pygmy hippo extended family! Next on the list was Baton Rouge, the state capitol of Louisiana. The Baton Rouge Zoo is home to Spencer and Isoke (also known as Gingerbread, because she was born on Christmas Day). Louisiana also has a mostly hot and humid climate, meaning their pygmy hippos also live outdoors but have heaters for the cooler months in winter. They share their exhibit with a pair of Egyptian geese who have successfully raised two clutches of goslings without the pygmy hippos bothering them at all! From Baton Rouge, I returned to Florida, completing my full circle, 4500+ mile, two-month tour of the USA. The final zoo stop on my pygmy hippo dung and data collection adventure will be San Diego, California, home to Francesca (originally from Rome, Italy) and Algon (originally from Pretoria, South Africa). I have met them both previously (in late 2012) as part of my PhD research, so it will be good to catch up on how they have been doing. So what’s next? I now must wait for nine months, through March of 2015, for the pygmy hippos to poo and for the zoo-keeping staff to collect dung samples (hippoo). 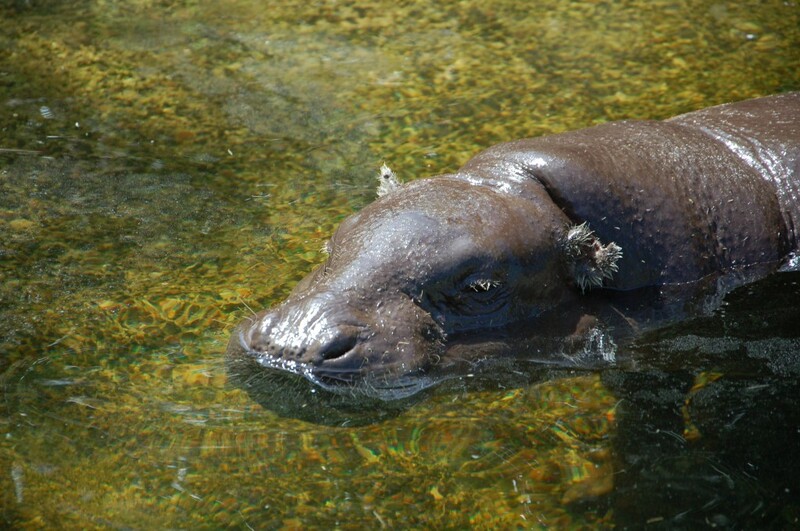 Meanwhile I will be working with some of the data I have already collected to write a review of pygmy hippo health and investigate the demographics of polycystic kidney disease (a degenerative condition affecting kidney function in numerous older pygmy hippos). I have also recently been appointed as the veterinary advisor to the Pygmy Hippo Yellow SSP, and in that capacity am currently writing the Hippopotamid chapter for the soon to be published Association of Zoos and Aquariums (AZA) Ungulate Care Manual. Next year the intense labwork will begin to elucidate hormone levels from over 3500 dung samples, and hopefully the results will provide helpful new knowledge to improve pygmy hippo health, reproduction, and welfare in captivity. My travel and research over the last several months would not have been possible without the participation, help and support of all the facilities mentioned here, and their respective animal care staff members. Moreover, I have been lucky enough to have friends and family along my travel route across the USA who have fed me and welcomed me into their homes, thus saving me (and my PhD budget) thousands of dollars in food and hotel costs during my travel. 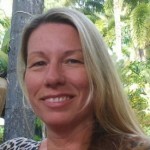 I would like to wholeheartedly thank Mari Good and Jon Seltz; Brad Kelley; Mark Davis; James Brown; Carl Gyarmaty; Chris Allen; Devon Roney; Karin and Charlie Mann; Howard and Leona Harrenstien; Frank Ridgley; Michael Frushour; Tabitha Miller; Lex Salisbury; Omar Ruiz; Reggie Piencikowski; Larry Killmar; Lee Ann Rottman; Chris Massaro; Robyn Jackson; Al and Amy Baxley; Kirt and Cathy Kaempfer; Violet Vanatta; Linda Penfold; Cayman Adams; Fred and Kathy Kaempfer; Christina and Brandon Anderson; Roy and CC Burns; Zoli Gyimesi; Jill Katka; Jamie Huber; Steven Wing; Michelle Wise; Shea Leffler; Elizabeth and JD Ferries-Rowe; Kevin and Jessica Ford; Kathryn Gamble; Rachel Santymire; Katie Gillespie; Laszlo Szilagyi; Jill Gossett; Amy Roberts; Dana Vinci; Susan Hoss; George Morgan; Heather and Steve Fodor; Kurt Weissgerber; Christie Eddie; Doug Armstrong; Julie Napier; Christina Ploog; Teresa Shepard; Sarah Smolinski; Jennifer D’Augostino; Daniel Custar; Katie Reimers; Susan Monger; Audrey and Jeff Hawken; Tom deMaar; Walter Dupree; Rolando Grazia; Juan Dominquez; Sam Winslow; and Paige Wiggins.